As Donald Trump launches his latest assault on renewable energy—imposing a 30 percent tariff on solar panels imported from China—a major crisis in the nuclear power industry is threatening to shut four high-profile reactors, with more shutdowns to come. There is virtually no economic margin for any other new energy production construction beyond solar, except wind and natural gas. Even gas—with its uncertain long-term supply—is on the cusp of being priced out. “We are not happy with this decision,” Abigail Ross Hopper, president of the American Solar Energy Association, told Reuters. Mainstream US media, when it comes to the idea of talks between North and South Korea, are focused on the idea North Korean leader Kim Jong-un is trying to drive a wedge between the Republic of Korea and the United States. No doubt that's true, but this misses a major part of the story. What we’re really seeing here is South Korean President Moon Jae-in making a bold move to assert South Korea’s independence from the United States. Nobody should be surprised Moon, who was swept into power thanks to a surge of voters (41.1% against two conservative parties receiving 24% and 21.1%) last year on a promise to reach out to North Korea and attempt to bring the two warring halves of the Korean Peninsula (they are still technically in a state of war that began in 1950, nearly 68 years ago) back together. 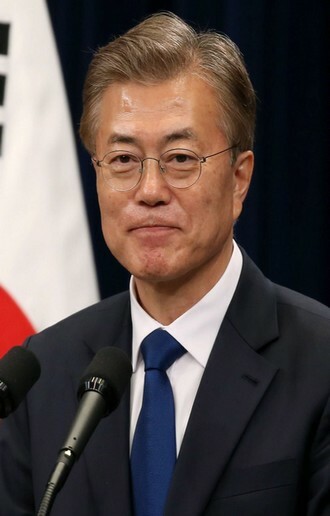 Taking the seeming baby step that he has taken of inviting North Korea to compete in the Winter Olympics being held next month in South Korea might seem like a small thing, but it was actually a bold step for Moon. What most Americans don’t know is that South Korea is technically a kind of colony of the US, given that its military is still under the control of the United States. This is thanks to a UN Security Resolution passed in 1950 authorizing a UN military action against the North and designating the US as the lead authority of the UN operation — a controlling role that the US still clings to. Imagine US diplomats telling NATO allies UK, Germany or France not to “run off the leash” in bilateral discussions say, with Russia! Sure, they too are on a leash to some extent, but nobody associated with the US State Department, would ever stick it in their faces like that. Understandably, the US, which is used to running the show in South Korea, is not amused. Ignoring the opening between north and south, the US recently convened a meeting of allies in Vancouver, Canada called a “North Korea summit.” Invited were representatives of all 15 of the nations — including France, the UK and South Africa — that had joined with the US in the “UN” military action against North Korea and its allies, China and USSR in the Korean War. Pointedly not invited to the meeting were China and Russia, two nations that would obviously have to play key roles in any peaceful settlement of the current Korean crisis. Both those countries blasted the conference as a sham. The last thing the US government wants is the eventual unification of the two Koreas, which would inevitably wind up being a neutral nation under the influence of its two largest neighbors, China and Russia. 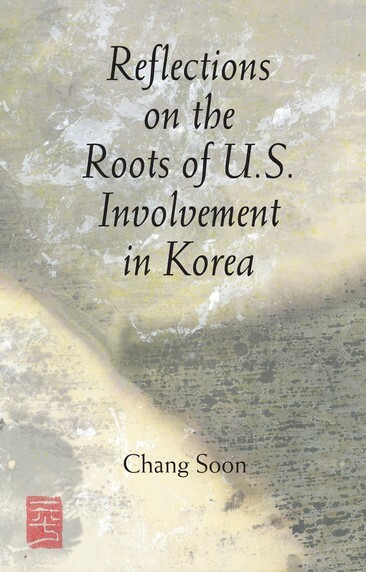 As Chang notes, an end to the Korean War and the possibility of further hostilities on the Korean peninsula would be a huge blow to the US arms industry. South Korea buys billions of dollars worth of US arms every year, and also serves as a base for US troops and naval vessels, and now also for anti-missile systems that can target both China and Russia. All of this would be lost in the event of Korean unification, or even of an end to hostilities between North and South. While the US government is doing its utmost to frighten Americans about the supposed capability of North Korea to hit US cities with its nuclear-tipped missiles, South Koreans, whose country would be devastated once again by a war between the North and the US, as it was by the Korean War in the early 1950s, when millions died, mostly from an incomprehensibly huge and brutal US bombing campaign, particularly of North Korea, but of the South Korea, too, seem confident it won’t happen again. While there are right-wingers in the South who hate and fear the North and oppose reunification, most South Koreans understand that North Korea’s nuclear program is about preventing a US invasion aimed at regime change, not at trying to attack the US or South Korea. There is tremendous anger and antipathy in South Korea — and among Korean-Americans in the US — at Trump’s name calling and threats to erase North Korea in a US nuclear attack on that long-suffering nation. Many have relatives who live in the north, and also remember the ruthlessness of America’s military in the ‘50s. Many Koreans also still recall that the US military oversaw the killing of some 100,000 Korean leftist and nationalists in the south between 1945 and 1950 during the US occupation, and that Washington and the US military command in South Korea also okayed the slaughter of hundreds of students during an uprising in the South Korean city of Gwangju in 1980. Some leaders in the US, notably Rep. Tulsi Gabbard (D-Hawaii), have spoken out against Trump’s threats. Gabbard, a major in the Army Reserve who served in Iraq, has even gone so far as to explain that North Korea’s nuclear weapons are clearly meant as a defense against the threat of US “regime-change” efforts, and has also said that US government attempts to demand denuclearization of North Korea as a precondition for peace talks are futile. She is right. Kim Jong-un has seen how the US dealt with Muamar Ghaddifi in Libya, once he gave up nuclear weapons, and with Saddam Hussein, who had none, and sees possession of credibly deliverable nuclear bombs as his best bet for staving off US military action against his regime. There is also the reality that China is not going to allow the US to gain control over North Korea, which would put US troops on its border. It was the threat of that happening back in 1950 that led a much weaker China, just a year after its forces had won their long revolution and taken power in Beijing, to join the battle on North Korea’s side when Gen. Douglas MacArthur’s forces appeared likely to crush the North Korean army. The situation in Korea is unprecedented at this point. The Democratic Peoples Republic of Korea (the North) now has as many as 20 nuclear weapons, including hydrogen bombs, that can probably reach the US mainland on North Korean missiles. Meanwhile, the Republic of Korea in the south is showing signs of shaking off at least some of the control the US has long exercised over its relations with the North. At the same time, under President Trump, behind all the bluster the US is pulling back from its prior efforts to behave as the world’s “lone superpower,” and is being forced by a resurgent Russia and a China that is both a dominant economic and an increasingly potent military rival, to recognize the limits of US military and economic power. Since there really is no way the US can simply have its way militarily against a nuclear-armed North Korea, at some point the US is going to have to either negotiate with the DPRK, or let South Korea do it, with the four or more surrounding powers, China, Russia, Japan and the US, playing supporting roles. The sooner the US recognizes that reality the better. Saying Goodbye to the FBI: Time to Pull the Plug on "Federal Frankenstein's Monster"? The Federal Bureau of Investigation is always under fire for something. As of late January, that something is destruction of evidence. Text messages between agents involved in the Bureau’s investigations of Hillary Clinton and Donald Trump, from a key time frame during the presidential transition, are missing. Congress, the Bureau, and the US Justice Department are at each other’s throats over the missing messages and what they might say. It’s far from the first time, as James Bovard points out at The Hill. 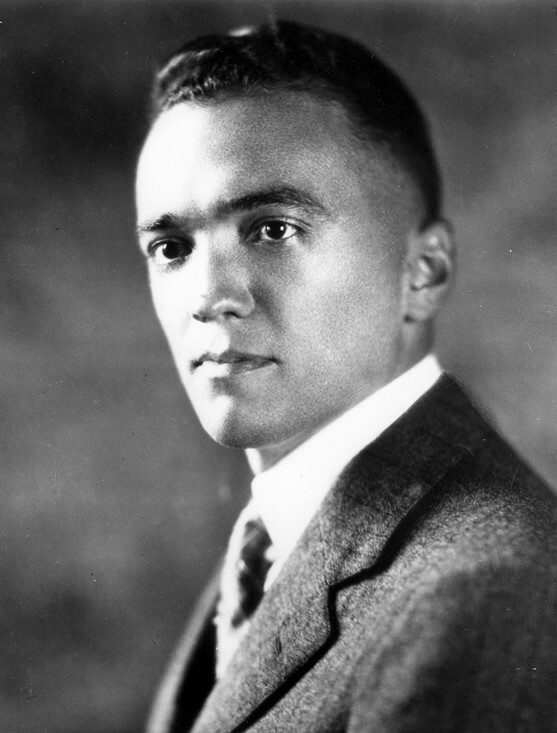 In 1973, acting FBI director Patrick Gray was forced to resign for destroying evidence in the Watergate investigation. After the 1992 murder of Vicki Weaver by an FBI sniper, an FBI division chief went to prison for destruction of evidence in that case. The FBI has had 110 years to prove its worth. A dispassionate look at its history says that it’s far more often served as a center for blackmail, corruption, and political manipulation than as anything resembling a legitimate law enforcement agency. In fact, it was a bad idea in the first place. The FBI — then merely the Bureau of Investigation, or BOI — was created during a congressional recess and without congressional approval by the Attorney General in 1908 for purposes of “investigating” (read: Drumming up a scare over) the role of prostitution in “white slavery,” a forerunner of today’s “human trafficking” panic. It’s pretty much gone downhill from there. The US Constitution defines only three federal crimes: Treason, piracy and counterfeiting. The first two are military matters and the third is handled by the Secret Service. There’s no room for an FBI in a constitutional law enforcement scheme. One excuse for keeping the FBI going has been to facilitate investigations of crimes with an interstate angle. But given today’s technology, the states could presumably set up their own clearinghouses to exchange information and track down cross-border bank robbers and kidnappers. The FBI is just another bureaucratic layer inserting itself between the commission of a crime and the arrest of those thought to be responsible. While the FBI has no particularly compelling, or even legitimate, mission, it certainly has its illegitimate uses. It’s probably not going too far to think of J. Edgar Hoover, the FBI’s first director, as having been a sort of shadow president for much of his 48 years of service. He used agents to get the goods on aspiring political leaders, and apparently used that information to get what he wanted from them both for the Bureau itself and in public policy generally. One big problem with a federal law enforcement agency as big and well-funded as the FBI is that at some points it’s almost certain to stop working for the rest of the government and start running the rest of the government. Election? Who needs an election? 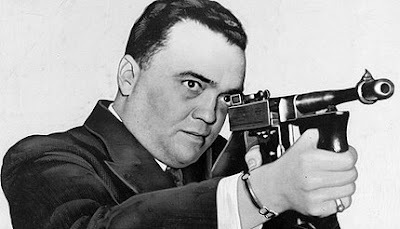 Just ask J. Edgar what to do. Unfortunately, the second big problem with such an agency is that it’s hard to get rid of after more than a century of nearly uncontested power. The World Economics Forum (WEF) brings thousands of world political and business leaders to Davos to exchange information. Over 1000 private jets land in this ski resort polluting the air and bringing in the CEOs of the largest companies, presidents, kings, and prime ministers to plot how to get richer at the expense of the poor. Thousands attend. In the 2006 Davos meeting I managed to get an article titled "Boycott Israel" in the official magazine distributed to all delegates. After complaints from some who do not believe in free speech (because the truth is to their disadvantage), Klaus Schwab Founder and Executive Chairman of the WEF swiftly interrupted the meetings to issue a public apology for publication of the article and telling delegates that a new issue will be released and distributed. US to withhold humanitarian support to education and healthcare of Palestinian refugees to cause a humanitarian crisis hoping to force Palestinian leadership to capitulate even more than they have already (these leaders have already given up on 78% of Palestine). But in any case, the US government wants to punish a whole people to get its political racist agenda (sort of like using agent orange in Vietnam to starve the whole population). Good people and few governents (like Belgium but so far not a single Arab government) stepped in to help UNRWA. You can help by publicizing and donating. Emmy award-winning filmmaker John Pilger is among the most important political filmmakers of the 20th and 21st century. From Vietnam to Palestine to atomic war, Pilger’s work has been on the cutting edge, and his stinging critique of western media has always be revelatory. And, no doubt, his biting analysis is more relevant and important now than ever. His latest film, “The Coming War on China” powerfully presages the growing potential for war between the US and China. Randy Credico and Dennis J Bernstein spoke with Pilger on January 18 about the multiple failures of the corporate press in fanning the phony flames of Russiagate, and turning its back on Julian Assange–acting more like prosecutors than journalists, whose responsibility it is to monitor the centers of power and report back to the people. Dennis Bernstein: Congratulations, John. Your work has now been made a part of the collection at the British Library. 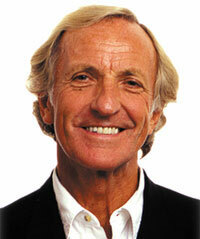 John Pilger: To see all my written work over the years go onto a single hard drive was a sobering experience. I am pleased, however, because now in the digital age people can access all of my work and I myself can access information I may have forgotten. I would like to read now a little of the statement that you sent to the World’s Socialist Conference where they were discussing the deep nature of censorship. You wrote, “Something has changed. Although the media was always a loose extension of capital power, it is now almost fully integrated. Dissent, once tolerated in the mainstream, has now regressed to a metaphoric underground as liberal capitalism moves toward a form of corporate dictatorship.” And it is getting worse at an exponential rate, wouldn’t you say? John Pilger: Yes. Chris Hedges is an example of that. He was right in the mainstream at The New York Times and now finds himself outside it. Another example is America’s most celebrated investigative journalist, Seymour Hersh, who it appears now can only get published in Germany. Hersh has effectively been ejected from the mainstream in the United States. In my own case, I navigated my way through the mainstream. My films are still shown on commercial TV in Britain. My written journalism, however, is no longer welcome. Its last home was The Guardian, which three years ago got rid of people like me and others in a kind of purge of those who were saying what The Guardian no longer says anymore. That has happened right across the liberal media. The Washington Post–which is at the moment going through a period of self-aggrandizement with the release of the film The Post–is also the notorious source of a site which listed some of the most distinguished dissenting sites in the United States, including Consortiumnews, Black Agenda Report, Counterpunch and others, as sources of Russian propaganda. It is forcing all of us into this margin, when really the mainstream is in the margin and the margin is in the mainstream. Dennis Bernstein: Could you talk about the work of Julian Assange in the context of this corporate censorship machine? John Pilger: Julian Assange has personally borne the brunt of much of this historic shift. He and Wikileaks have exposed so much, and that is unforgivable. There is no doubt that what Wikileaks has done is the most important disclosure journalism of my lifetime. Around the world, politicians who have been deceiving the public have been caught out by the revelations of Wikileaks. It is quite an epic achievement. Anger has been directed at Julian by people in the media who have been shamed by Wikileaks. Because Wikileaks did the job that journalists ought to have been doing for many years. Wikileaks has done it across such a spectrum and put to shame those who are paid to keep the record straight. That has been Assange’s crime. Dennis Bernstein: It has come to the point where to tell the truth is to commit professional suicide. Randy Credico: At the recent World Socialist Conference, Julian Assange warned of what he called the “super states” on the internet and how much power they have–the Facebooks and Googles, etc. John Pilger: He raised the whole specter of artificial intelligence and how it can be abused by the undemocratic forces that control so much of the world. I think what he had to say was very interesting and extremely timely. It is important to remember that Assange is a refugee and that the refugee is almost a symbol of our times. There are those who try to cross the Mediterranean and don’t make it or who cross deserts to get work to support their families. Julian is a political refugee who is trying to inform us of something we either don’t know about or are unwilling to talk about. The United Nations has recognized that he is being detained unlawfully. It is interesting to hear what he says but we also have to keep an eye on his welfare. His situation should be a burning issue for journalists everywhere. If it can happen to him, it can happen to any of us. Randy Credico: A lot of mainstream journalists complain when Trump refers to them as the enemy of the people, but they have shown themselves to be very unwilling to circle the wagons around Assange. What is the upshot for journalists of Assange being taken down? John Pilger: Trump knows which nerves to touch. His campaign against the mainstream media may even help to get him re-elected, because most people don’t trust the mainstream media anymore. CNN and NBC and the rest of the networks have been the voices of power and have been the source of distorted news for such a long time. They are not circling the wagons because the wagons are on the wrong side. These people in the mainstream have been an extension of the power that has corrupted so much of our body politic. They have been the sources of so many myths. This latest film about The Post neglects to mention that The Washington Post was a passionate supporter of the Vietnam War before it decided to have a moral crisis about whether to publish the Pentagon Papers. Today, The Washington Post has a $600 million deal with the CIA to supply them with information. Media in the West is now an extension of imperial power. It is no longer a loose extension, it is a direct extension. Whether or not it has fallen out with Donald Trump is completely irrelevant. It is lined up with all the forces that want to get rid of Donald Trump. He is not the one they want in the White House, they wanted Hillary Clinton, who is safer and more reliable. For over two months, the Opposition Alliance has claimed that their candidate, Salvador Nasralla, was the winner of the presidential elections of November 26. Gilberto Ríos Grillo is a national leader from the LIBRE party, one of the parties that makes up the Alliance, whose secretary-general is Manuel Zelaya, the former Honduran president who was deposed in a coup in July 2009. After the announcement of further mobilisations from the Honduran society to protest against the government, Ríos Grillo tells us about the recent developments in this social and political crisis that has already generated 34 casualties. He also stresses the international dimension to this crisis that Honduras is currently facing. Alex Anfruns: In late December we saw these controversial statements from the US State Department, legitimising the fraud that had taken place in your country. How do you evaluate the situation from an international perspective? Gilberto Ríos Grillo: In general, the international situation we are witnessing is of struggle. Even though Honduras is a small country, it is quite important to the United States. 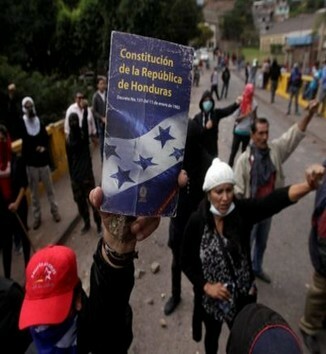 So in this fight for hegemony Honduras is not allowed to join the struggle. After the almost total loss of legitimacy by the Honduran institutions, especially after the 2009 coup, the 2013 fraud and the most recent fraud which is even more blatant than the previous one, the “seal” of approval for the elections came from the US Embassy itself through Mrs. Fulton, the chargé d’affaires. The picture is very clear at the moment when she recognises the electoral triumph of Juan Orlando Hernández, because the president of the Supreme Electoral Court, David Matamoros Batson, appears on television with his hands in his pockets, standing behind the US official, as if assuming that she is the one who needs to certify or rubber-stamp the electoral process. The American meddling right in the face of the international community and the need for them to directly intervene in Honduras is plainly evident. AA: What is this struggle that you were mentioning? GRG: In the past ten years there was clear progress for the left in Central America, with the victory of the Sandinistas in Nicaragua, the FMLN in El Salvador, even the left in Costa Rica. Also with the out of control situation seen in Guatemala, because even though the American will was to remove the president, there was a considerable popular mobilisation. In Honduras, if a leftist coalition became the main political force, this would mean a further loss of control for the United States in the region. What took place in Honduras should be seen in this context, and also in the context of the aggression against Venezuela and Cuba. These are countries with a clear positioning of national liberation which is articulated at a Latin American level. This explains why the US cannot afford to lose even the smallest of territories. Hence the current situation in Honduras. AA: What was the position of the observers from the European Union and the Organisation of American States (OAS), who were present during the election? GRG: In the beginning, after the elections, they had to recognise that Salvador Nasralla, the Alliance candidate, was the winner by a margin of more than five points, since given the amount of votes tallied this tendency was practically irreversible. They had to issue these statements because of the international presence. Then, two days later, when the vote counting system crashed and the tendency was reversed, both the OAS and the EU had to produce reports saying that the situation was not clear. Even OAS secretary Luis Almagro had to say that the elections ought to be held again because the results were not transparent. That was the last we heard from the OAS. Recall that the OAS has to supervise or play a legitimising role in more than 18 electoral processes in Latin America in 2018. So it could not afford to start the year by losing credibility, although it had already lost a lot of it… But the fraud was so blatant that it could not go along with it. Both the EU and the OAS have purely formal positions, and they have no way of helping change come about in Honduras. GRG: This reveals Salvador’s naivete when it comes to politics; in fact, even he recognises that. It is similar to what happened seven years ago to president Zelaya when he went to the Brazilian embassy two months after the coup. There he was visited by Thomas Shannon, a representative from the US State Department, and was also communicating with Hillary Clinton. Both told Zelaya that he would be returned to power, and he believed it. But the United States always play a duplicitous game: they say one thing and then do something else. This always takes into account their interests and naturally the people that best serve their interests in other countries. In this case, Hernández is the best representative for the interests of the multinational corporations and the neoliberal/privatising rationale that the US has in Honduras. I think Nasralla’s naivete stems from his own lack of knowledge about the nature of imperialism. AA: During the holidays we saw the Alliance appeal to the Honduran society to resist in the streets. COPINH, for example, is well known abroad. What role have social movements played in the Opposition Alliance’s mobilisations? GRG: After the coup, all the social movements, leftist movements, and a sector of president Zelaya’s party, formed the National Front of Popular Resistance. This then made way for the creation of the Liberty and Refoundation party (LIBRE), which stood in the 2013 elections and won them. After the coup there was also another party, formed by Salvador Nasralla, which was a centre-right party. These groups, alongside other smaller parties, such as the social-democratic party Innovation and Unity (PINU), decided to join forces and create the Opposition Alliance. In the Opposition Alliance you can find all the national classes represented. In other words, even the national bourgeoisie, retail sectors, workers, social movements… nothing falls outside of the Alliance. In what concerns COPINH, they were very important at a certain stage as a social movement but then moved more towards an NGO rationale. They also support the struggle against the dictatorship and have thrown their weight, but they are not important in terms of mobilisation. Especially after the assassination of Berta Cáceres, COPINH does not have the same militancy as before, and the same applies to other groups close to them. The social sectors that have always been important here have been teachers, public sector workers, students, who had a very important surge in the past two years. All of these are in the Alliance and coordinate with the Alliance, under the leadership of Manuel Zelaya Rosales. AA: A general strike was held on January 20. How do you foresee the upcoming mobilisations? GRG: I stood as a candidate for these elections and I find that the support is bigger now than it was during the electoral process. And we should take into account that we won the election! There are more sectors of the population who wish to see Juan Orlando Hernández out of power. 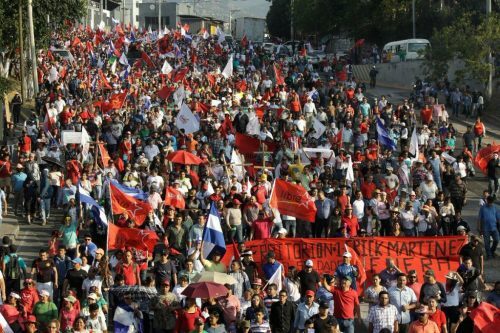 The civic strike called for the period 20-27 of January is meant to be a full week of highway occupations, blocking streets, consumer boycotts, etc. We believe that it will have a much bigger impact than any previous demonstrations. We can see that the people are mobilised and even demanding more radical action, although we wish to continue with a peaceful insurrection and civil disobedience, without ever calling for nor supporting violent action. Alex Anfruns is a lecturer, journalist and editor-in-chief of independent media outlet Investig’Action in Brussels. In 2007 he helped direct the documentary “Palestina, la verdad asediada. Voces por la paz” (available with Catalan, Spanish, English and Arabic subtitles). Between 2009 and 2014 he made several trips to Egypt and the occupied Palestinian territories. He has edited the monthly Journal de Notre Amérique since 2015. Read other articles by Alex. Many hundreds have responded to a call by rabbis, pledging to hide victims in their own homes to protect them from Israel's security services. With the mood rapidly turning sour, academics and professionals, including doctors, pilots, school principals and lawyers have refused to collude in Israel's policy of oppression. "act morally, humanely and with compassion worthy of the Jewish people. … Otherwise, we will have no reason to exist." Outside Israel, Jewish organisations have uncharacteristically sounded the alarm as well, warning that Israel's actions "betray the core values that we, as Jews, share". Where has been the solidarity, the campaigns of civil disobedience on behalf of these Palestinians after 70 years of suffering? But none of this outpouring of moral concern has been voiced on behalf of Palestinians. Instead the consciences of Israeli liberals have been pricked by the exceptional plight of some 40,000 African asylum seekers, mainly from Sudan and Eritrea. The Israeli government initiated a programme this month to expel these refugees, who gained sanctuary in Israel from war zones before Israel managed to complete a fence across the Sinai in 2013 keeping them out. The asylum seekers are now being offered a "choice" between being deported back to Africa, on the one hand, with the attendant dangers of persecution, torture and possible death, and indefinite imprisonment in Israel, on the other. The destination country, Rwanda, is being paid $5,000 for each asylum seeker it accepts. But reports show that Rwanda is reneging on promises to give them residency status, forcing the refugees either to return to the regions from which they originally fled or make a perilous sea crossing to Europe. Their treatment has indeed been shocking and is in flagrant violation of the international conventions on refugees' rights Israel has ratified. In an indication of how little official sympathy there is for the refugees, only 10 have been awarded asylum – a minuscule fraction of applicants. That compares with more than 80 per cent of Sudanese and Eritreans gaining refugee status in many European countries. Meanwhile, Israeli government ministers have repeatedly incited against the Africans, calling them a "cancer" and a "sanitation hazard", which in turn has fuelled public hate campaigns and a lynch-mob mentality. It is understandable why liberal Israelis would feel deep shame at this behaviour. The explicit rationale behind Israel's creation, after all, was as a sanctuary for Jewish refugees from rampant race hatred and persecution in Europe that culminated in the Holocaust. Israel often describes itself as a country of refugees. The conventions Israel is flouting were drafted precisely out of recognition of the plight of Jews fleeing Europe. 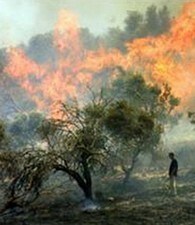 The backlash in Israel has been led by religious leaders. Rabbis have urged Israelis to shame the government by promising to hide the Africans in their cellars and attics to foil the deportations. It is intended to echo the way Europeans once bravely tried to save Jews from the Nazis – most famously in the case of child diarist Anne Frank, who later perished in a concentration camp. Pilots for Israel's national carrier El Al and airport staff have publicly refused to fly the asylum seekers back into danger, joining in the public defiance of psychologists, lawyers, professors and many others. A group of 350 doctors, including heads of hospital departments, this week said they were speaking out because the deportations would do “harm among the most severe known to humanity”. And, in a move that was a public relations catastrophe for Netanyahu and his cabinet, Holocaust survivors and their organisations loudly denounced the policy this week too. They quoted Holocaust survivor Elie Wiesel's address to the UN in 2005: "Will the world ever learn?" The shock and indignation from liberal Israelis – while welcome and gratifying – has nonetheless exposed the ethical hollowness at the heart of this unprecedented campaign of civil resistance. It looks suspiciously like liberal Israelis are prepared to stand in solidarity with asylum seekers only because it is a relatively easy generosity – an act of humanitarianism they dare not extend to Palestinians. Many Palestinians are also refugees, spawned by Israel's creation as a self-proclaimed Jewish state on their homeland and by the campaign of ethnic cleansing in 1948 that enabled it – what Palestinians term their Nakba, or Catastrophe. Israel refused to allow these Palestinians to return home. Many millions have lived for decades in abject conditions in refugee camps across the Middle East. Palestinians in the occupied territories, meanwhile, face appalling human rights abuses – in their case not via a third party in Africa, but directly from the state of Israel. Where has been the solidarity, the campaigns of civil disobedience on behalf of these Palestinians after 70 years of suffering? Only a tiny number of far-left Israelis – mostly anarchists - have ever stood alongside Palestinians. They have joined Palestinians, for example, on demonstrations in West Bank farming communities like Bilin and Nabi Saleh, facing down armed and often violent Israeli soldiers, as they struggle against the theft of their lands to feed the expansion of Jewish settlements. In fact, far from showing solidarity with Palestinians, many liberal Israelis have been demanding ever harsher treatment. The overwhelming majority of Israelis celebrated the recent imprisonment of Ahed Tamimi, the 16-year-old child from Nabi Saleh who slapped a soldier after he had invaded her home. Moments earlier his unit had shot her 15-year-old cousin in the face, after he peeked over a wall. Palestinian children throwing stones now face up to 20 years in jail, and their parents risk being fired from their jobs. Two-thirds of Palestinian children arrested by Israeli security services report being beaten or tortured. But Ahed and these other children are not Palestinian Anne Franks in the eyes of liberal Israelis. They are "terrorists". The wave of indignation at the asylum seekers' predicament looks suspiciously like Israel's "Trump moment", echoing the recent outpouring of rage from American liberals at the easy hate-figure of US President Donald Trump. These same Americans stood silent as Trump's predecessors waged aggressive wars around the globe and tore up international law with programmes of extra-judcial executions, rendition and torture. Similarly, liberal Israelis appear to be engaging in a kind of displacement activity: focusing on one grave but isolated outrage to avoid dealing with a far larger, far longer-running one they are personally implicated in. Underscoring this paradox, Rabbis for Human Rights has called on the kibbutz and moshav agricultural communities to offer moral leadership in the campaign to hide African refugees. These same communities were established over the destroyed homes of Palestinian refugees forced into exile in 1948. These same agricultural communities have barred any of the state's Palestinian citizens – one in five of the population – from living in them. All have remained ethnically "pure". In their inconsistent moral defence of human rights, liberal Israelis have inadvertently revealed that they are not so far removed from the right-wing government they publicly abhor. Much of the support for the African asylum seekers, including from Israel's most famous writers, has highlighted how insignificant their numbers are, now that a wall across Sinai blocks further entry by refugees. If all 40,000 were allowed to stay, it is routinely pointed out, they would comprise less than 0.5 percent of Israel's population. Contrast that with Palestinians. A fifth of Israel's citizens are Palestinian, those Israel failed to expel in 1948. Combined with Palestinians living under belligerent Israeli military rule in the occupied territories – in the Greater Israel Netanyahu is carving out – they comprise half the region's population. When it comes to Palestinians, liberal Israelis sound little different from Netanyahu's supporters. Both are concerned about maintaining Israel as a fortress Jewish state. 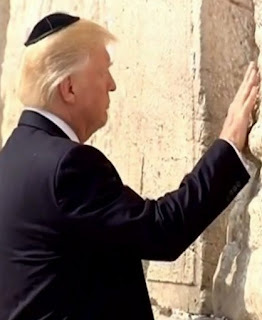 Both want walls to keep out non-Jews, whether Palestinians in the occupied territories or refugees from Africa. Both characterise Palestinians, either Israeli citizens or victims of the occupation, as a "demographic demon" and the Jewish state's "Achille's heel". Both fear a dilution of Israel’s Jewishness. In short, both Israeli liberals and right-wingers are obsessed with demography – the numbers of Jews versus non-Jews – and with preserving Jewish privilege. Both are laying the groundwork for future outrages against Palestinians and for further incremental waves of ethnic cleansing. But educated, liberal European Israelis – those who dominate academia and the professions now leading the revolt – can afford to salve their consciences over a population of Africans who will remain small and marginal. These refugees are unlikely to rise above sweeping the streets or cleaning dishes in restaurants in liberal Tel Aviv. Netanyahu and the right, however, rely on the support of much poorer Israelis, often Jews who immigrated to Israel from Arab countries and face overt discrimination from liberal Israelis. The right needs constantly to create (non-Jewish) bogeymen to shore up its political power base among them. It has been easy for the right to whip up fears of African refugees as freeloaders and here to "steal our jobs and women". In a fearmongering tactic reminiscent of those used against Palestinians, Netanyahu warned in 2012 that 60,000 Africans – the number then in Israel – "could become 600,000 and possibly even jeopardise Israel's continued existence as a Jewish democracy". Netanyahu's government routinely describes the African refugees as "illegal infiltrators" – a much more sinister term than may be apparent to outsiders. "Infiltrators" are what the Palestinians were called when they tried to return to their homes after their expulsion in 1948. An early Israeli law effectively gave Israeli security officials carte blanche to shoot these "infiltrators". The government's comparing of African refugees to these Palestinians is intended as a clear form of incitement. That may have not washed with liberal Israelis, but also it has not opened their eyes to their own hypocrisy. Theirs is a pragmatic humanitarianism, not a principled one. Is the terrible suffering Israel is now inflicting on African refugees not also the moment for liberal Israelis to appreciate that Palestinians have been enduring similar abuses for seven decades? Has the time not finally arrived when liberal Israelis need to mount a campaign of civil disobedience on behalf not just of Africans but of Palestinians too? We are members of the New Democratic Party of BC who are deeply disappointed with the government's decision to proceed with Site C. While it is painful and difficult to speak out, it’s in times like these when truthfulness and principled honesty are most needed. We will not be silent, and we hope our voices encourage more people to examine why this decision is a terrible mistake. There are strong ethical, economic and environmental reasons to terminate the dam. Upon careful analysis, the provincial government’s arguments regarding Site C are not persuasive. This undermines public trust in our government’s commitment to affordability, a robust climate change plan and meaningful reconciliation with Indigenous people. Since the NDP was willing to cut 4.7 billion in revenue from bridge tolls from the province’s coffers, without any word about accounting regulations or credit ratings, it should seriously examine why it is unwilling to absorb or restructure a smaller “debt” of 3 billion in order to show that it is serious about reconciliation, equity, affordability, and climate justice. The assumption of endless growth based on mega dams to power fracking for LNG is the logic of a cancer. It is unsustainable and it will drive up our carbon emissions (including methane) at the very moment when we need to be reducing them. We need a plan for the future that builds locally resilient communities, strengthens food security and diversifies renewable energies across the entire province. We believe that public examination of the dam’s economics, cumulative environmental impacts and accountability processes is urgently needed. There is no current need for the electricity Site C would produce. Indeed, IPPs have been paid millions to not generate energy in BC. Hydro’s forecasts have been consistently inflated for decades, as the BC Utilities Commission pointed out. If more electricity is needed in the future, it can be produced incrementally. not engage in an expensive and morally questionable legal battle with the two First Nations whose territories are most directly impacted by the dam, and who are seeking an injunction. Not opposing their injunction would be a good first step to show that this government is serious about implementing the UN Declaration on the Rights of Indigenous People. pause new contracts such as the billion-dollar contract going to companies including Aecon, which is being taken over by a Chinese-state-owned company, CCCC. In light of Aecon's takeover, we urge also this government to examine what the effects of investor rights and trade agreements are on the dam and on BC ratepayers. consider recent developments in the price of alternative energy, which is decreasing substantially. At the rate that these trends are going, BC will spend billions more on Site C only to receive much less in return on investment. That investment could be more effectively directed in ways that generate more jobs and a more equitable social structure, as the NDP’s PowerBC plan shows. PowerBC is a wiser way to move forward to cultivate energy democracy across the entire province. In contrast, Site C may prevent diverse, more nimble, less destructive community-based alternative energies from developing by flooding the market for such energy. First Nations who spoke at the BC Utilities Commission proposed alternatives to Site C that would produce comparable energy while having Indigenous consent. We need a better distributed, community-based economic plan in our journey toward a fossil-fuel free economy. commit to a full-cost accounting analysis of Site C, in accordance with the NDP’s Sustainable BC vision. Using full cost accounting, the high value of the Peace River Valley is recognized as much more than “zero,” once you consider the worth of its carbon sinks (forests), fertile farmland, sacred Indigenous cultural sites, and multiple land uses. Even without predictably ballooning costs, the price of the dam is much higher than 11 billion, once we factor in the high reputational costs of not implementing UNDRIP, the loss of biodiversity and much more. retain as much forest intact as possible, given we are in a time of impending climate destabilization and after a summer of terrible fires. They are a natural buffer, complex functional carbon sinks that we cannot afford to lose. As a government you have the power to declare the Peace River valley a commercial asset needed for provincial food security and to use this asset’s value to offset or restructure the debt arising from Liberal mismanagement, which can gradually be repaid back over 30 years under the BCUC’s schedule. focus on remediation jobs to help us to transition to PowerBC. Better jobs are possible for our union brothers and sisters. As UBC’s Program on Water Governance points out, there are more long term jobs generated by terminating Site C.
Environmental degradation poses a serious collective threat; it is not a luxury to consider this matter, but the necessary baseline if we are serious about addressing poverty in the long run. Clean water, clean air, reducing our carbon footprint: these are all simply required for our basic quality of life. We as a species need to respect the earth’s natural laws and carrying capacity. A future worth having is built upon meaningful reconciliation with Indigenous peoples, which leads to reconciliation with the land. In terms of climate action, everyone needs the forests and farmlands intact as much as possible now. Now is not the time to turn our remaining biodiversity into sacrifice zones. 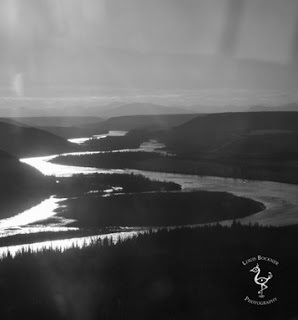 BC needs the Peace River valley for the greater good of the province. Wolf biologist Sadie Parr will be in the Comox Valley Jan. 27 to discuss the provincial wolf kill program, along with the ecology of the animal and how it relates to ecosystems. The B.C. government is proposing to lengthen the wolf trapping season on Vancouver Island from Sept. 10 to June 30. As it stands, the season runs from Nov. 1 to June 30. Government says inventory and monitoring of wolf populations is costly and difficult, and that aerial-based inventory methods don’t work because wolves are elusive. Much of the information gathered about wolves is anecdotal, with a reliance on public sightings and observations. “Trapping wolves when their pelt doesn’t even have any value — it’s essentially treating them as garbage,” said Parr, the executive director of Wolf Awareness. Courtenay is one of the stops on Parr’s tour, Let’s Talk Wolf — Behind the Smokescreen. She speaks at 1 p.m. Saturday, Jan. 27 at the Fallen Alders Community Hall at 3595 Royston Rd. Admission is free. RSVP at info@oceanadventures.bc.ca as seating is limited. Donations to Wolf Awareness will be gratefully received. 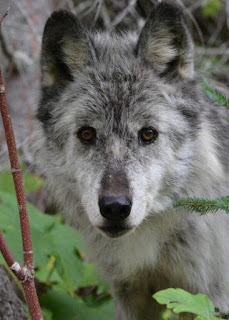 Since the release of a 2014 Wolf Management Plan, Parr said government has been painting the animal in a poor light, increasing killing programs in various ways. Parr does not buy into the rationale about contributing to Canada’s economy by contributing to the export of fur. Many of the allies in the fight against Site C spent the holidays planning an important event. The Site C Summit - Accountability & Action will take place this coming weekend in Victoria, BC. There’s an amazing line-up of speakers, you won’t want to miss this! On January 15th the Prophet River and West Moberly First Nations filed a civil claim in BC Supreme Court. At issue is the outstanding question of whether construction of Site C constitutes a violation of treaty rights guaranteed under Treaty 8, as well as the Canadian Constitution. The suit seeks an injunction to stop construction while the case proceeds. Read coverage on DeSmog and on CBC. Virgilio Yareth Ávila loved to sing. The 16-year-old high school student also played drums at his church. That’s where he was headed on a Monday afternoon last month. Ávila left the simple family home and walked up to the gravel road to cross the highway that bisects the town of Agua Blanca Sur, 10 miles south of El Progreso, Honduras. Minutes later, gunshots rang out. Ávila’s mother started running up the road after her son. When she reached the highway, she found one of her older sons weeping in anguish. Police had opened fire on residents blockading the highway as part of ongoing nationwide protests against election fraud. Ávila had been shot in the head. Blanca Sur, in northwestern Honduras. Ávila died later that day. “He was still breathing, but in my heart I knew I was going to lose him,” Ávila’s mother told Toward Freedom. As she approached, she asked police not to shoot. An officer told her to shut up, but she started screaming when police grabbed her older son to detain him. Ávila was first taken to a clinic, but then had to be transported to a city hospital. Police provided no assistance. Ávila was taken to the hospital by other Agua Blanca Sur residents who offered their support. Residents also transported another local youth with a gunshot wound to the foot. Police did show up at the hospital, but only to ask for the names of the wounded and intimidate their relatives. Ávila died that same day, on December 4th. “I can’t look at pictures of him. I can’t look at his clothes,” Ávila’s mother, who requested that neither she nor her other son be named for security reasons, said in an interview in the family home weeks after her son was killed. “I feel like they killed me too,” she said, tears streaming down her cheeks. “I want justice, and not just for my son, but for everyone who has been killed,” said Ávila’s mother. 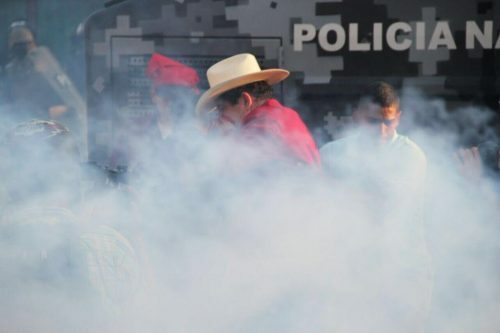 Honduran human rights organizations, including the Committee of Relatives of the Detained-Disappeared in Honduras, documented 30 killings last year in the context of the post-electoral political crisis, and there have been at least five more killings so far this month. Many believe the numbers to be higher than 35 in total. Most of the killings have occurred when security forces have opened fire on protests. The latest crisis to engulf Honduras began shortly after general elections were held on November 26th of last year. The presidential race was between current President Juan Orlando Hernández of the National Party and Opposition Alliance Against the Dictatorship candidate Salvador Nasralla. In many ways, the election was also a showdown between combative political forces. On the one hand were the US-backed political and military elite which had tightened their grip on power since the 2009 Honduran coup d’état against President Manuel Zelaya. And on the other hand were the political forces that arose both from resistance to the 2009 coup, and from the general discontent with corruption and the status quo – particularly among the country’s youth. Hernández was on the ticket despite a constitutional ban on re-election. The one-term limit is so strict that even the suggestion of a possible path to re-election was used as the official justification for the 2009 coup against Zelaya. However, the National Party has been concentrating power for the past eight years, and the executive branch of government now effectively controls the legislative and judicial branches, along with the military and other state institutions like the Supreme Electoral Tribunal. Thanks to a judicial coup in 2012, when Supreme Court magistrates from the Constitutional Chamber were irregularly ousted and replaced by Congress, a paradoxical ruling a few years later paved the way for re-election. For years, the US government has repeatedly raised concerns and objections when Latin American political leaders sought to alter or lift presidential term limits, but its tune changed when it came to their key right-wing ally in Central America. “The U.S. Government does not oppose President Hernández or others from presenting themselves for re-election according to Honduran democratic processes. It is up to the Honduran people to determine their political future through their democratic institutions and processes,” according to a November 7, 2016 statement by the US Embassy in Honduras. to onlookers at a December 10th march against election fraud in Tegucigalpa. Hernández’s key opponent in the 2017 presidential race was Salvador Nasralla, a former sportscaster and TV personality. Nasralla made waves in the 2013 elections, when a party he founded gained significant ground with its anti-corruption platform. Nasralla was effectively ousted from the 2013 presidential slot due to interference during the primaries, likely due to ruling party concerns over his announced plans to form an alliance with the left-leaning LIBRE party that grew out of the National Front of Popular Resistance, organized in the wake of the 2009 coup. The party alliance moved forward. Most of Nasralla’s party’s base left with him to join LIBRE and the small Innovation and Unity Party in the Opposition Alliance Against the Dictatorship, created to run a sole candidate – Nasralla – against Hernández in 2017. When preliminary results were first announced nearly 10 hours after polls closed on November 26th, Nasralla had a supposedly irreversible five-point lead over Hernández with a majority of votes counted. The electoral data transmission system then went offline for hours, and when it came back online, Nasralla’s lead rapidly plummeted and Hernández took over the lead. The opposition alliance and third-place Liberal Party both cried foul, stating that their calculations based on the same polling station vote tally sheets sent to the electoral tribunal showed a clear victory for Nasralla. The Organization of American States election observation mission also raised concerns about a series of “irregularities” that were never adequately addressed. The response in the streets was swift and fierce. Protests erupted all over the country. The government also immediately responded. On December 1st, the Honduran government enacted a 10-day state of exception, implementing a 6pm to 6am curfew. State security forces began violent crackdowns on protests, and they did not have to concerns themselves with human rights violations getting in the way of US funding. On November 28th, two days after the elections and two days before the killing of protesters began, the US State Department certified that Honduras was making progress on issues of human rights and corruption, freeing up millions of dollars in security aid. The US role in the ongoing crisis was made even more evident when US Chargé D’Affaires Heide Fulton appeared alongside Supreme Electoral Tribunal president David Matamoros Batson in a press conference endorsing a highly contested partial recount of the vote. This recount led to the official declaration of Hernández as the winner on December 17th. The US State Department formally congratulated Hernández on December 22nd, sealing the deal. protest against election fraud outside the US Embassy in Tegucigalpa. Several protests against election fraud have been held outside the US Embassy in Tegucigalpa, the Honduran capital. At least two rallies have targeted the Soto Cano air force base more commonly known as Palmerola, which is home to the US Southern Command’s Joint Task Force Bravo. With the exception of Joint Task Force Guantanamo, it is the only component of the US Military’s Southern Command based outside the US. Honduras is also home to several forward operating locations utilized by the US military and US Drug Enforcement Administration. It was a launchpad and training ground for counterinsurgency operations in neighboring Central American countries during the Cold War and beyond, and the US is unlikely to cede control of its key ally in the region anytime soon. Marcos Antonio Bonilla thinks it is high time things change. He wants Honduran voters, not the US government, to choose the country’s president, the El Progreso rural community leader told Toward Freedom. “For the poor, living in Honduras these days is hell on earth because there’s an empire that represses the people,” said Bonilla. Of the 35 killings that have taken place in the context of the recent Honduran political crisis, the perpetrators in some cases are unknown. Active and recognizable participants in the protest movement against election fraud have been taken from their houses and executed or intercepted and killed. Most of the victims were killed when security forces fired on protesters. Ávila was fatally shot by police, and a few cases are unclear due to the mixed nature of many police and military operations, but the military police are responsible for the majority of the killings. 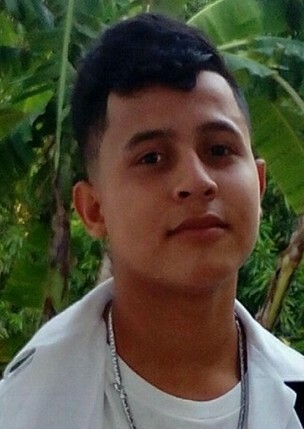 Raúl Antonio Triminio Cisnado was one of the many victims of the military police. He was out in the streets protesting with his neighbors. Firecrackers punctuated the incessant evening clanging of pots and pans on December 3rd in Tegucigalpa. Here and there, bonfires lit up the cityscape. It was during the government’s state of exception, but opposition alliance supporters in the capital and around the country were taking to the streets for noise demonstrations in open defiance of the curfew. killings by state security forces in the context of the post-electoral crisis. It was just after 8:30pm when the military police showed up to the area, along the main street that separates the Villa Nueva and Los Pinos neighborhoods. Their truck lights were off, though, and they didn’t identify themselves. They just started shooting. “It was a burst of gunfire,” Marvin Barrientos, Triminio Cisnado’s brother-in-law, told Toward Freedom. He and his wife watched from inside their home as the protesters scattered and ran. Triminio Cisnado, a 39-year-old father of two, was at the back of the protesters’ group. He was shot in the head and fell to the ground. Barrientos and his wife watched as three military police patrol trucks sped away. The national police showed up about 10 minutes later and helped them take Triminio Cisnado to the hospital, but he died on the way there. The following afternoon at the morgue, Montoya Cruz’s relatives had come and gone, but Barrientos and two of Triminio Cisnado’s siblings were still waiting for the body to be released. They jumped at the chance to denounce what had happened. “There needs to be justice,” said Barrientos. Justice for the killings in the post-election crackdown has become a key focus at protests. At larger marches in Tegucigalpa, protesters have been carrying wooden crosses bearing the names of those killed, and their names crop up in protests, candlelit vigils, and graffiti around the country. The opposition alliance called for a week of action leading up to the January 27th inauguration of Hernández’s second term, and highway and road blockades keep popping up across Honduras. The repression has been brutal and the levels of militarization in some areas is unprecedented, but that is not stopping people from organizing, according to Honduran Women’s Collective (CODEMUH) director María Luisa Regalado. “Although there’s fear due to all the intimidation by the government, the criminalization of social movements, and the criminalization especially of youth who have participated in all these blockades, people continue to believe that struggle is necessary,” Regalado told Toward Freedom. The determination to continue protests in the face of government crackdowns is even present among people who have been injured. causing severe damage to his right eye. Dressed in a light blue, paw print-covered onesie, José Luis Ortiz’s six-month-old son is in a stroller, shaking a plastic bumblebee rattle. Ortiz is keeping an eye on him, but just his left eye. A police officer shot him in the face at close range with a tear gas canister during a protest last November, and it burst his right eye. A surgeon managed to reconstruct the physical eyeball, but it is uncertain whether or not it will ever function again. “I’m lucky,” he told Toward Freedom, pointing out that dozens of people have been hit not with tear gas canisters but with bullets. On election day, Ortiz cast his ballots at a school in El Progreso and returned to the polling station after polls closed to help keep watch as votes were tallied, due to widespread concerns about potential fraud. He and his wife were overjoyed when Nasralla’s lead was announced, and outraged when it was taken away. “No More Repression,” reads graffiti message in downtown Tegucigalpa. 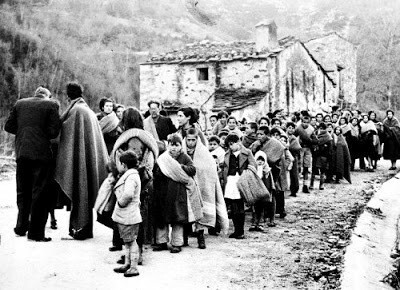 Ortiz took to the streets as the results were unfolding in the days immediately after the November 26th election. On November 30th, he and a few relatives joined others who took it upon themselves to go out and march. As with many ongoing actions, it had not been convoked by the opposition alliance or anyone in particular. People organized themselves and protested. They were marching through El Progreso when a police crackdown began. They all started running, but when Ortiz looked back to see what was going on, a police officer aimed and launched a tear gas canister right at his face. He lost vision in his right eye immediately, but then his whole world went dark when the blood running down from a gash on his forehead covered the other eye. A local taxi driver helped get him off the street and to the hospital. He still requires another surgery, months of recovery, and a corneal transplant to have a chance at recovering vision in his right eye. 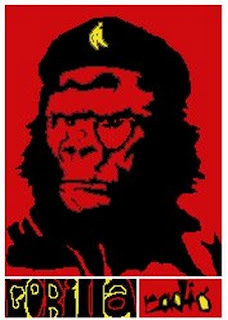 Yet Ortiz’s political perspective remains unchanged. He plans to be more cautious at future protests, but the experience will not stop him from participating in the resistance. “I’ve always believed in a more just society,” he said. 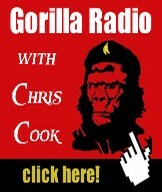 Sandra Cuffe is a freelance journalist based in Honduras. You can find her on twitter at @Sandra_Cuffe or read more of her work on her website at sandracuffe.com.